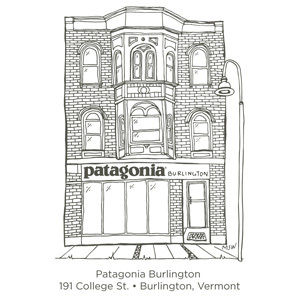 Owned and operated by the Skirack since May 11th, 2011, Patagonia Burlington is a single branded, locally owned Patagonia store located in the heart of Burlington’s Church Street Marketplace. 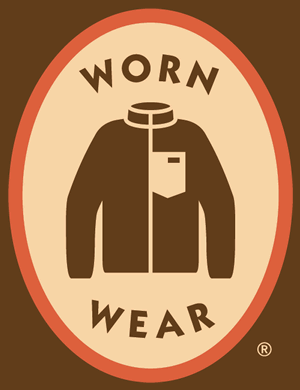 Born by Patagonia Inc. and raised by the Skirack, Patagonia Burlington provides the largest selection of Patagonia product in Vermont. A concept that is very much practicing what Patagonia Inc. preaches, being locally owned and operated is a real life example of practicing the responsible company. You are on your way, and we are going to help you get there. Striving to provide the highest quality of interpersonal engagement with every person that walks through our doors has and always will be our number one priority. 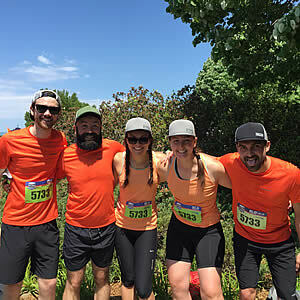 Whether it be a suggestion for the most appropriate technical layer for your next outdoor endeavor or a dinner recommendation for your night out in Burlington, we are here to help. Patagonia’s Ironclad Guarantee states, “If you are not satisfied with one of our products at the time you receive it, or if one of our products does not perform to your satisfaction, you may return it to us for a repair, replacement or refund. Damage due to wear and tear will be repaired at a reasonable charge.” Patagonia Burlington is the only locally owned Patagonia location that helps facilitate the Ironclad Guarantee in-house. 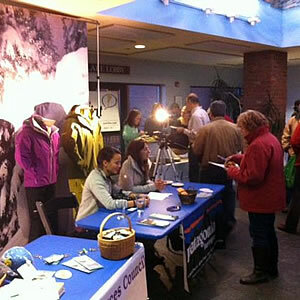 Come talk to our team with any questions about your Patagonia product and the Ironclad Guarantee. 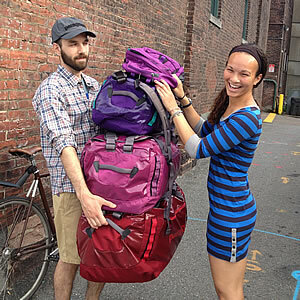 If you have purchased a Patagonia item from www.patagonia.com or any other authorized Patagonia dealer, you may return your item(s) to us for local in-store credit. Item(s) must be in like new condition with tags still attached with valid proof of purchase to receive your paid price in store credit. If no proof of purchase is present, but item(s) are in like new condition, the last paid price of the item will be given. If Patagonia Burlington credit does not work for you, we are happy to cover the cost of shipping, send your item(s) back to Patagonia Mail-Order Returns, who will be able to refund your payment method in approximately 3-4 weeks. 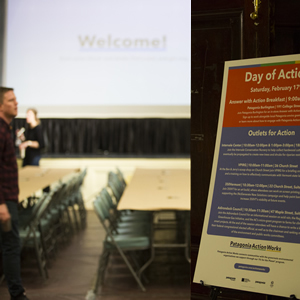 As we continue to connect with the Burlington and Vermont communities we are striving to take action, educate and integrate many of Patagonia Inc.’s initiatives on a relevant, relatable, local level. From movie premieres, educational discussion, to product demonstrations we look for unique interactive ways for you to have your questions answered and what steps you can take going forward. Stay connected and keep an eye out for our next project.